OSIM uGalaxy combines airbag, vibration, soothing warm air with scientifically-proven mood light and music to help relieve everyday eye fatigue for healthy and glistening eyes. Vibration massage revitalizes eyes for lively and energized looking eyes. Soothing warm air provides soothing warmth that helps to improve circulation for mesmerizing eyes. Delicate eye area is best massaged by gentle airbags that can soothe strained muscles. Temple massage can relieve eye fatique and provide beautifying effects, such as lifting and firming. Eye bag massage uses airbag compressions to help ease the appearance of puffy eyes and dark eye circles. The mood light gently stimulates brain activity to achieve the most desired state of relaxation, balance and rejuvenation. Calms your senses and allows you to feel at peace. Awakens your eyes and helps you to regain vitality. Invigorates your mind and fires up your creative spark. Studies have shown that music helps you to relax, reduce stress, sleep better and uplift your mood. 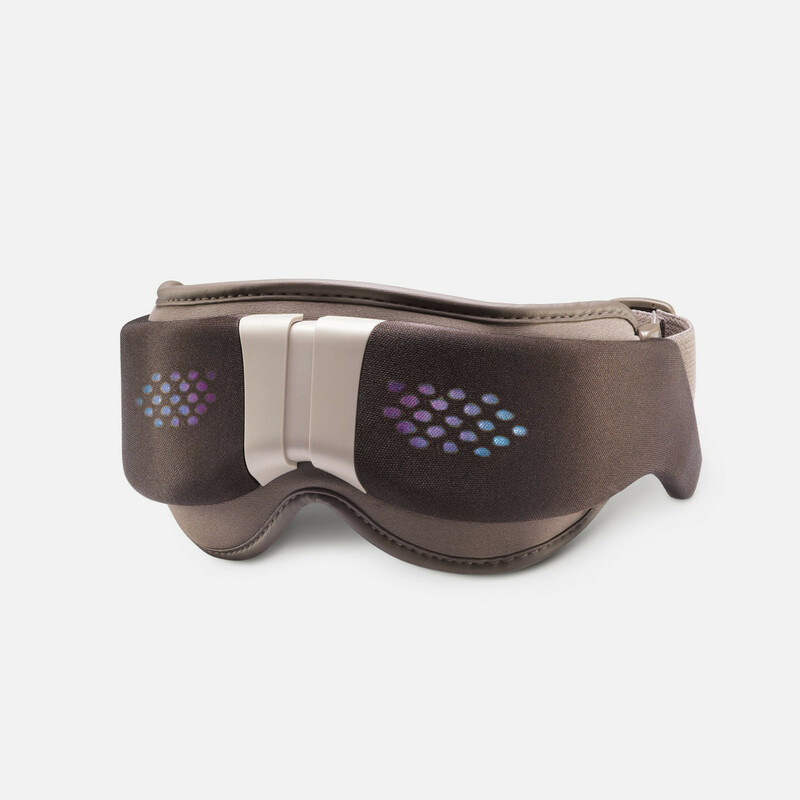 With the 3 unique music pieces delivered via the built-in audio speakers (without thehassle of external earphones and wires), the uGalaxy eye massager offers you both physical and mental relaxation at the same time. Adjust the intensity of the massage for a more enjoyable massage experience. Choose among 5, 10 or 15 minutes auto timer for massage programs. Select from 7 levels of brightness for mood light according to your preference. Adjust the music volume according to your environment and preference. 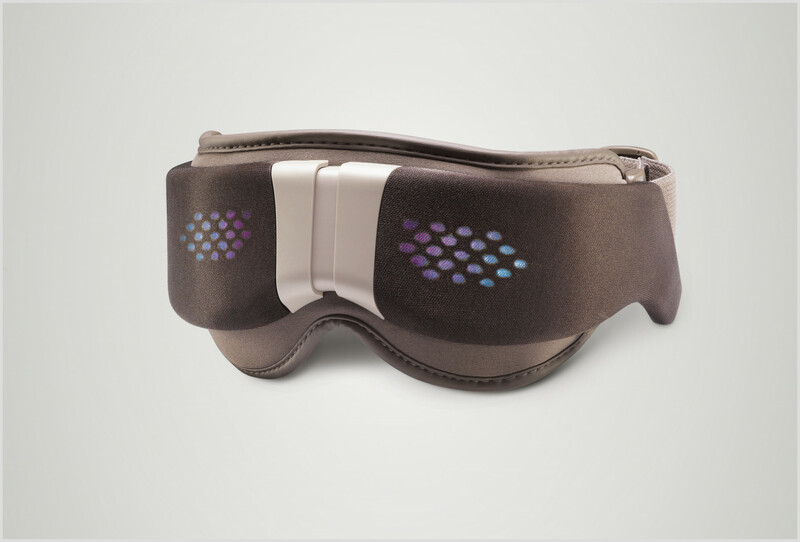 The battery-operated uGalaxy is light and portable, allowing you to enjoy a brightening eye massage anywhere. The soft microfiber material fits snuggly on your eyes and is designed to sit comfortably on your nose bridge. The bendable eye frame and adjustable head straps ensure a comfortable fit for different head sizes. I fell asleep doing the15 minutes massage. I was awaken by my snoring. I don't snore. Really soothing and good massage. Not sure if it helps in the headache as I only used thrice. Not sure if the eye bags and dark circles will get better. I will write the reviews on that later.